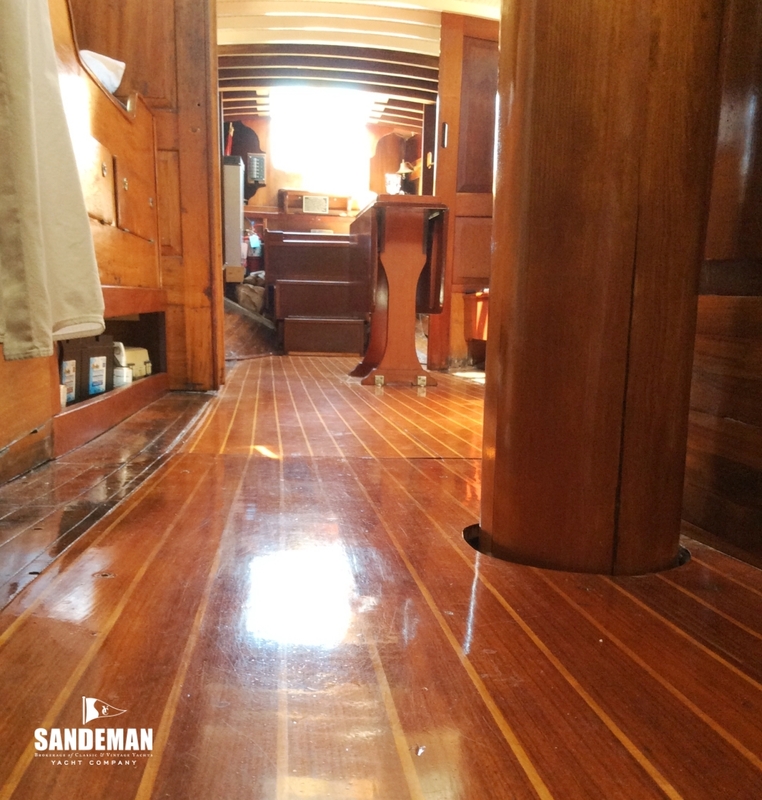 Some yachts hold such storied history in their timbers that they should be national monuments; there is no doubt that ZAIDA III should. 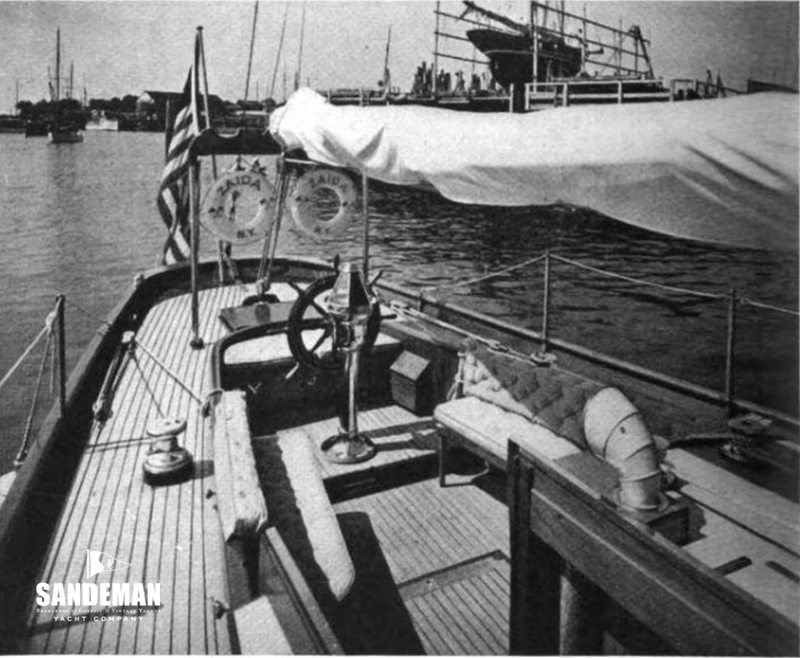 Here is a rare opportunity to acquire and restore a thoroughly authentic living embodiment of American maritime history: in design (by John G Alden, Boston); in build (by one of the best, Henry B. Nevins, New York, for his City Island neighbour in business (sailmaker extraordinaire George E Ratsey, New York via Gosport, England); and in defending freedom at war (ZAIDA III’s war story below is epic). 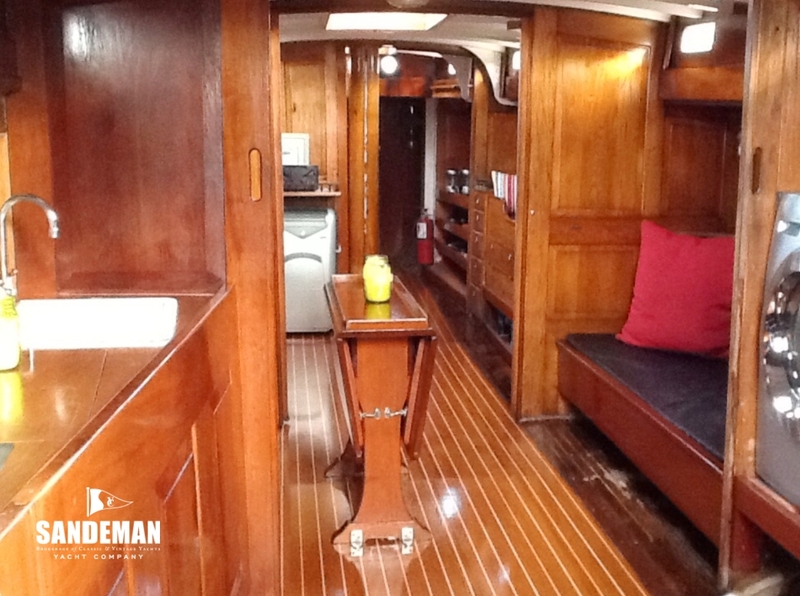 And, of course, she’s a very pretty and practical yacht with undoubted performance. 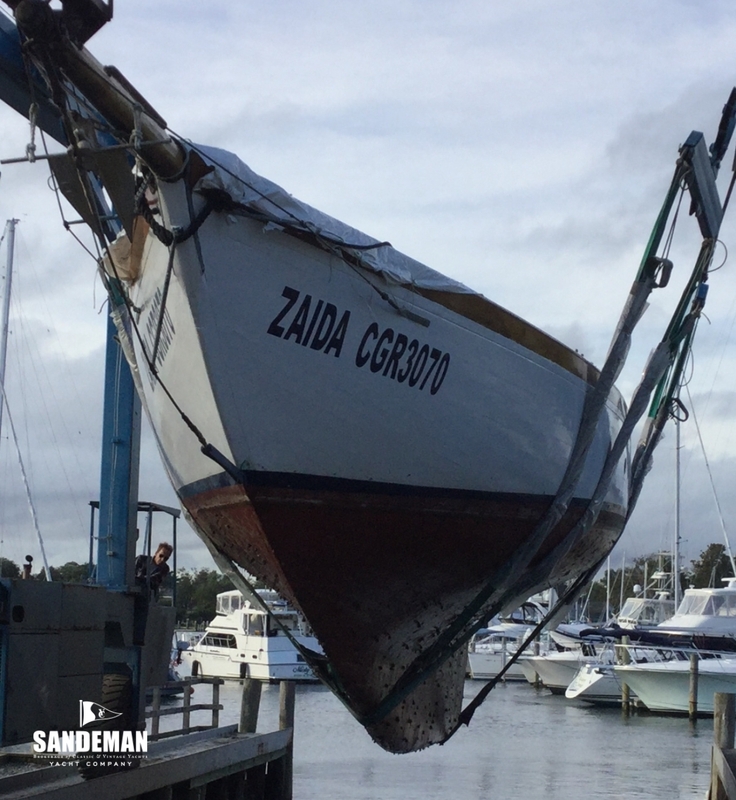 ZAIDA III has reached the project stage in life although still in sailing condition; one could easily become besotted. 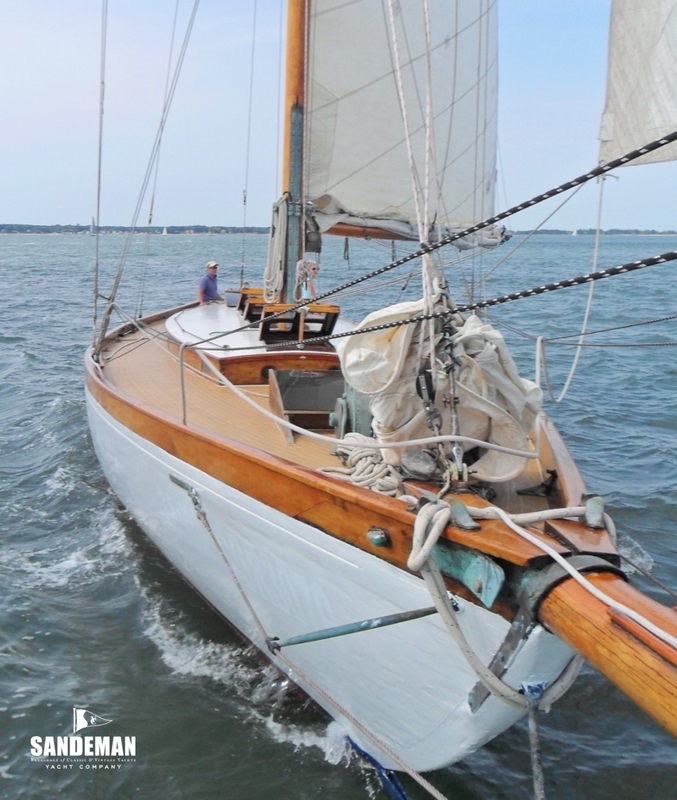 Impeccable provenance in design, build and ownership would always have guaranteed ZAIDA III a special place in American yachting history, but it was her Second World War activities while on anti-submarine patrol on the US east coast that really made her a legend in her own lifetime. 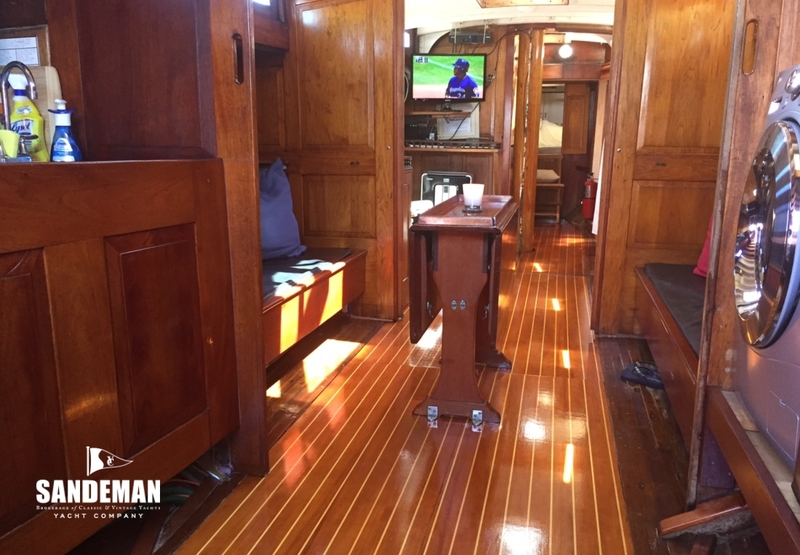 But it wasn’t all about work; at play Ratsey had a reputation for getting the best out of his yachts. 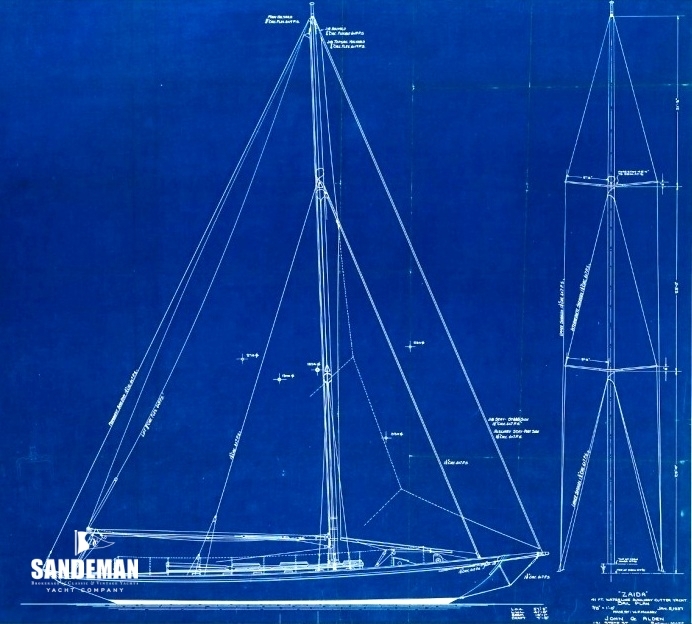 The cutter sail plan ZAIDA III first sailed under, seen in the blueprint here drawn by long time Alden associate William McNary, shows the quadrilateral jib pioneered and made famous on the J-Class boats of the 1930s, but not common at all on cruisers. 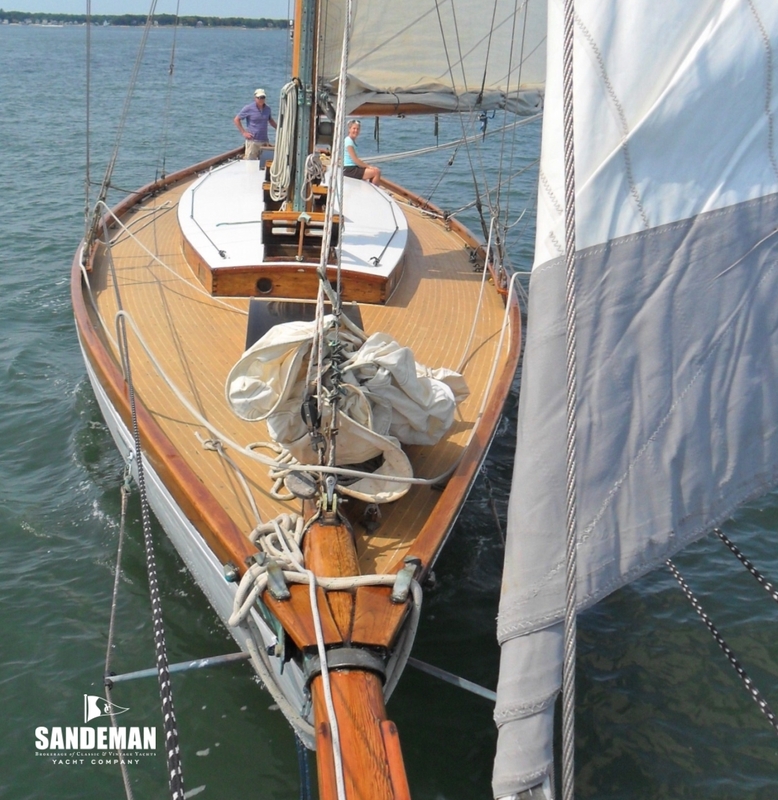 In her first season, ZAIDA III's racing competitors included the notable Sparkman & Stephens-designed yawl EDLU. 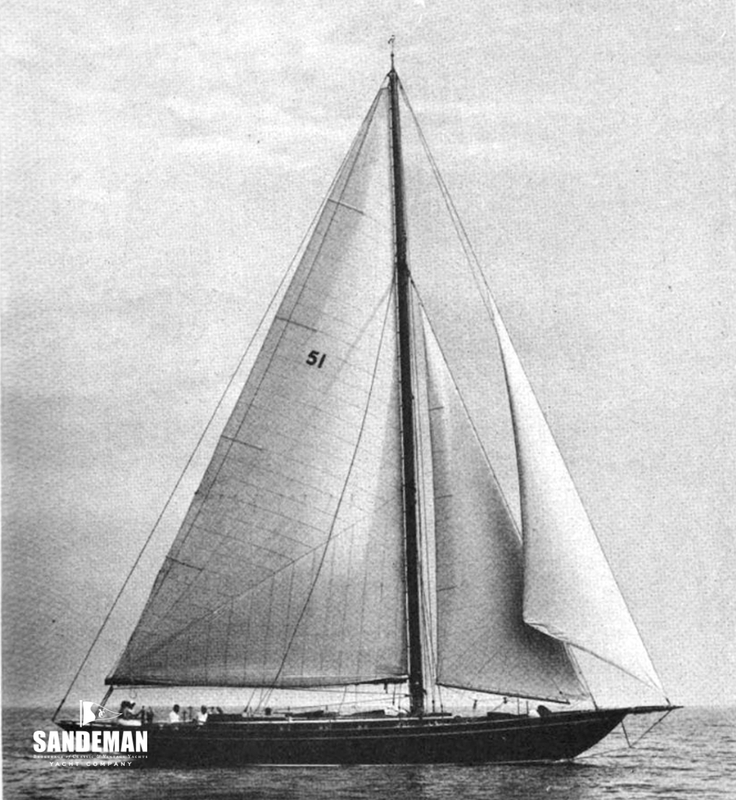 ZAIDA III was later re-rigged, spending much of her life as a yawl. After the USA entered the Second World War, the Nazi U-Boat threat to Allied supply and troop ships on the eastern seaboard multiplied. 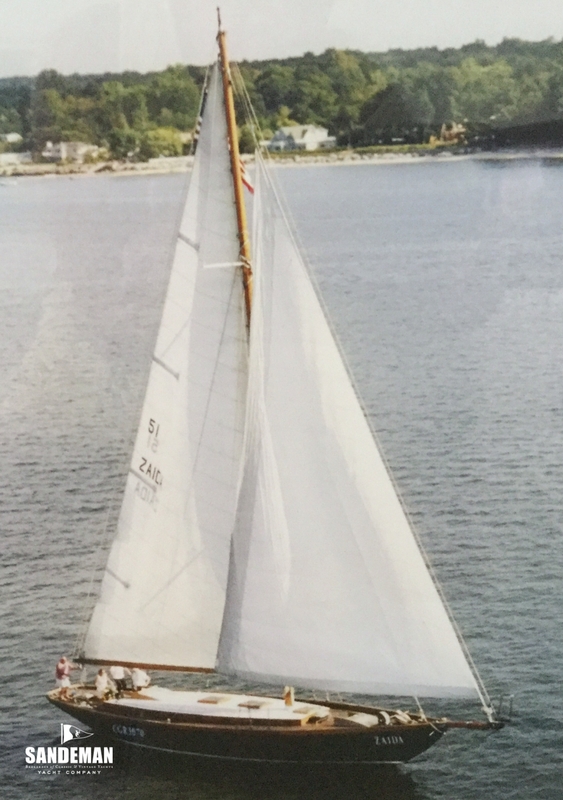 When the US government enlisted yachts over 50ft/15m as civilian-crewed Coast Guard Reserve observation and patrol vessels, George Ratsey quickly made ZAIDA III available; the number CGR 3070 was applied to her black topsides and she was re-rigged as a yawl. It was as CGR 3070 that ZAIDA III became more widely famous while on patrol in December 1942. 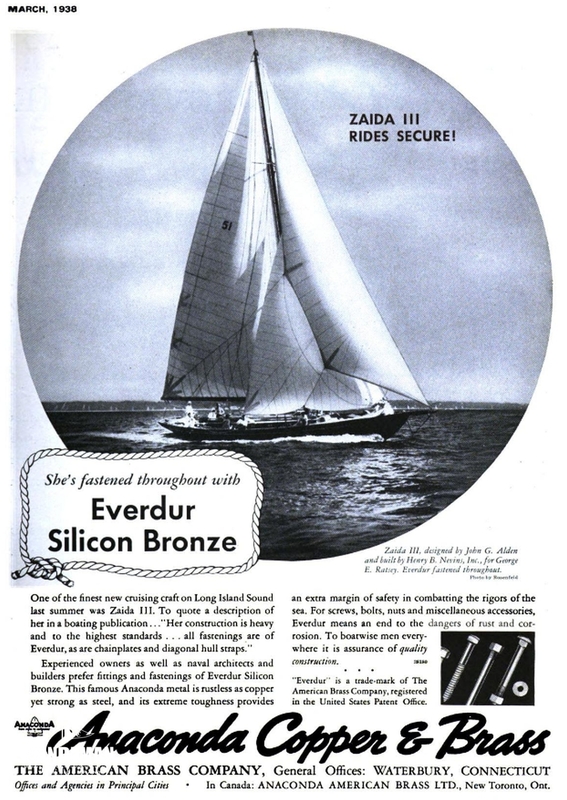 Blasted for three weeks by hurricanes and blizzards, and posted missing, she became the object of one of the greatest searches in maritime history before being finally located off the coast of North Carolina, about 1000 miles south of her original station, Nantucket Shoals. 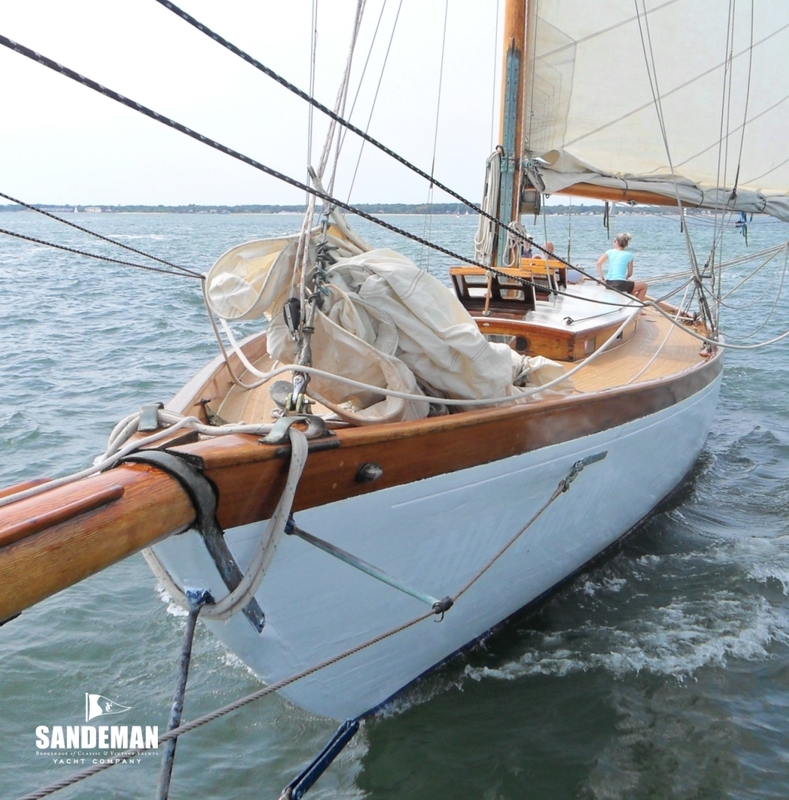 She was finally rescued and towed into Ocracoke, Hatteras on Christmas Eve 1942. George Ratsey died at home aged 67 on Christmas Day.